HDRmaster Toolset: Standalone Software and Plug-ins related to HDR video production and quality analysis. 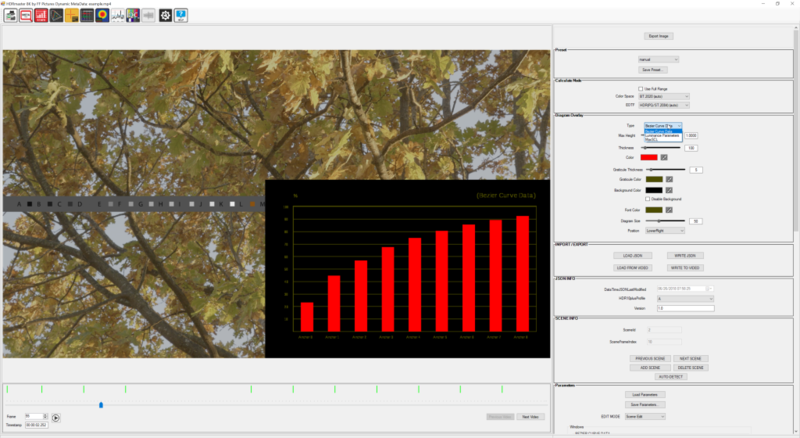 HDRmaster 8K is a brand new standalone Software performing a multitude of tasks related to HDR video analysis and Q/C. 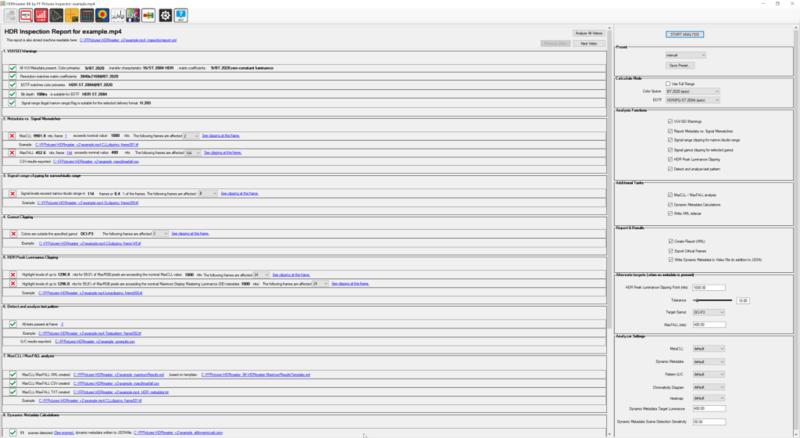 See the detailed press release here and the screenshots below the product overview. Products, available from FF Pictures. All products are currently for Microsoft Windows 8 or 10 operating systems only. Maintenance packages are required for updates with new features and all other updates after the first 12 months after purchase. Each license is suitable for one workstation. All Plug-ins and software are GPU-accelerated: For ideal performance, we recommend to use a CUDA or OpenCL compatible graphics card with at least 6GB of GPU-memory. *Maintenance fee to be paid after 12 months, can be canceled anytime prior to billing period. The maintenance fee allows you to get the most current version without additional charges anytime. For HDRmaster Toolset, the maintenance fee also includes all new HDR related software products by FF Pictures. 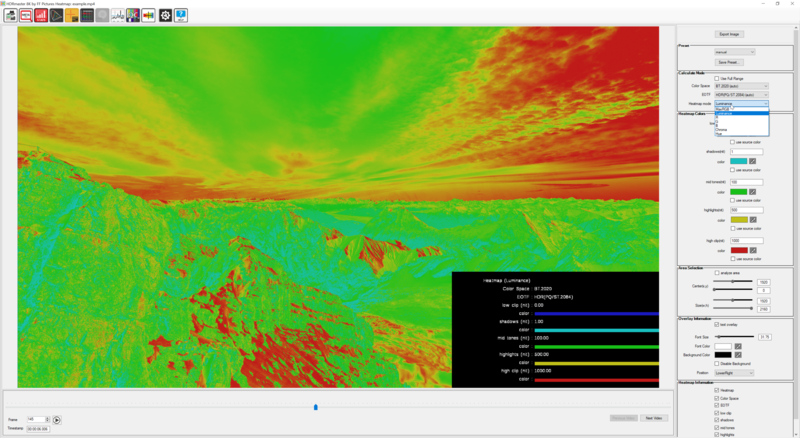 HDR Inspector: Example of an report after performing the detailed analysis of HDRmaster 8K. Chromaticity Diagram: This analyzer function shows all pixels in the current picture represented as chroma coordinates in a CIE 1976 or CIE 1931 diagram. HDR Heatmap: Example for the false color representation with adjustable colors for specific ranges of luminance or MaxRGB values. 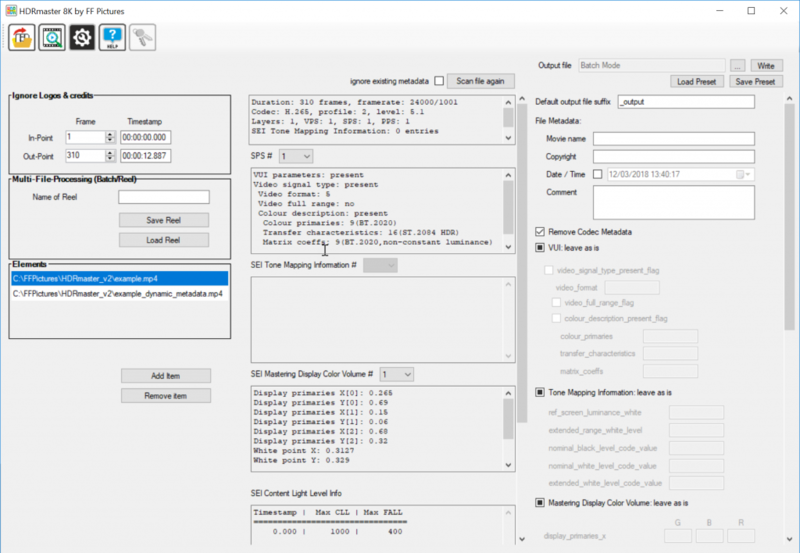 HDR 10+ dynamic metadata module: This tool allows you to analyze existing metadata with a visual representation in overlay graphics, add or edit scenes and even suggest metadata and scenes based on automated content analysis. Pattern Q/C: Automated analysis of a test pattern or digital leader in order to measure the accuracy of video levels with pass/fail results. 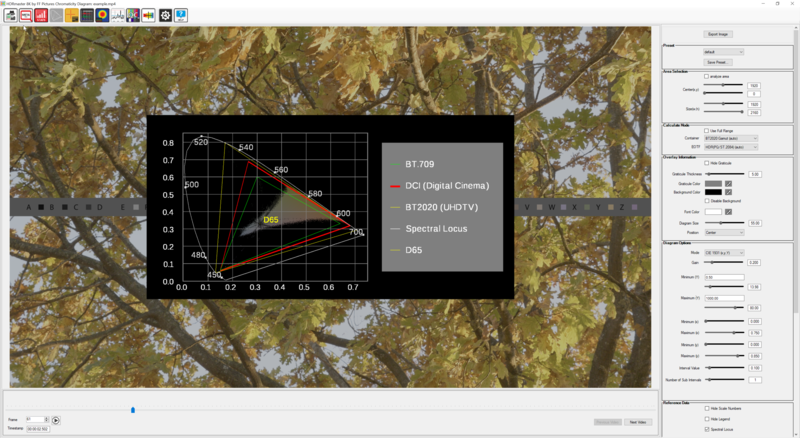 The main screen of HDRmaster 8K with the ability to configure reels, in/out-points as well as reading editing and writing HDR metadata. 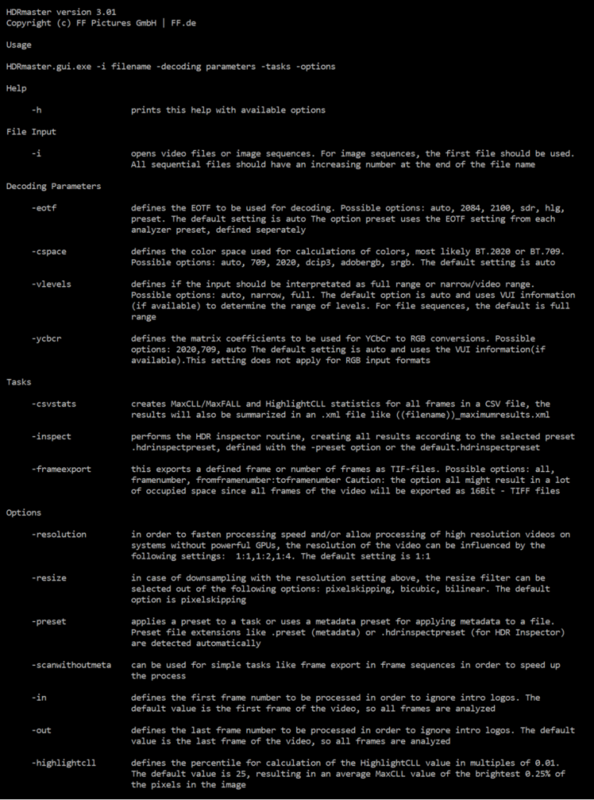 Command Line Tool: Most tasks of the software can be performed using the command line tool as well.